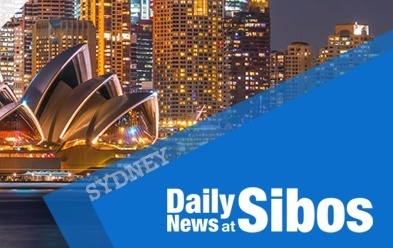 Read our third Daily News at Sibos edition of the Sibos 2018 conference in Sydney – all the latest news and analysis from Swift’s premier event of the year. 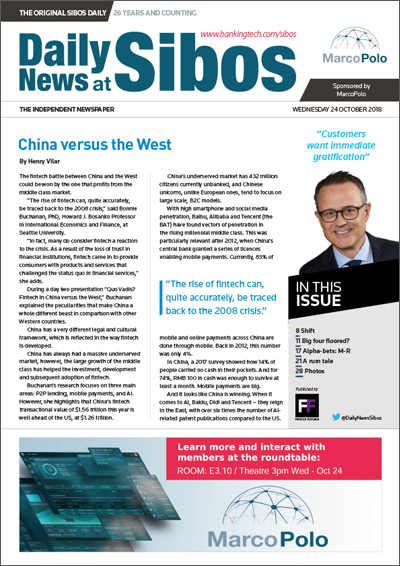 Click here or on the image below to read the digital edition of Daily News at Sibos – Day 3. TLM Aurora, challenges with Open Banking, the potential of data and the biggest issues facing fintech. Enabling customers with accounts at different banks to make 24x7 payments in real-time. Sibos 2018: Can banking embrace AI to better foster trust? Let's put our trust in Richard Buckle, founder and CEO of Pyalla Technologies, to answer this. A brief look at four fintech firms that are worth watching out for at the Sibos show. We've been to events all around the world this year. These have been our favourites.